PRICE REDUCED! Pride of ownership shines in this custom built 4 bedroom/4 bathroom home located in desirable Berkshire Estates. 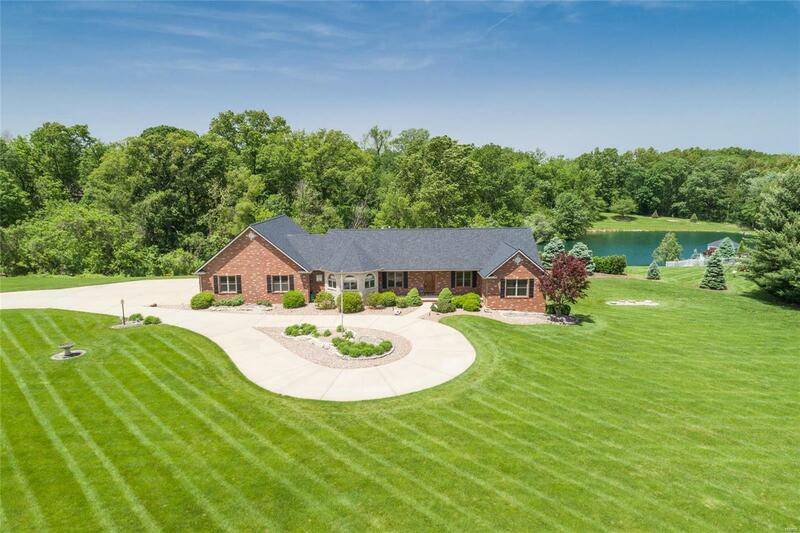 This home sits on 2 beautifully landscaped acres that features a heated in-ground pool, hot tub and stocked pond! Inside the spacious ranch is 4 large bedrooms and plenty more space for the family. Kitchen boasts loads of Hickory cabinets and granite counter top space with additional desk area. Kitchen opens to dining room which has a stone wall with see thru gas fireplace. Large living room has integrated surround sound and offers picturesque view of backyard. Master bedroom on main features walk-in closet and private master bath suite. Lower level offers 2 extra bedrooms, family room, billiards room with elegant custom bar! Main floor laundry. Over-sized and heated 3 car garage is 1200 square feet! This show stopping home wonât disappoint! Call your favorite agent today to tour this one of a kind home located in Triad School District.